Nobody knows your four-legged friend better than you and for this reason we ask you to tell us about his perfect kennel. HOW SHOULD HIS KENNEL BE? We could create kennels according to our taste and the needs of our dogs, but this is not our wish. Our kennels are like a tailor-made suit because they are made for your own puppy. Chihuahua, Dachshund, Australian Shepherd or Greyhound WE MAKE KENNELS FOR EVERYONE! 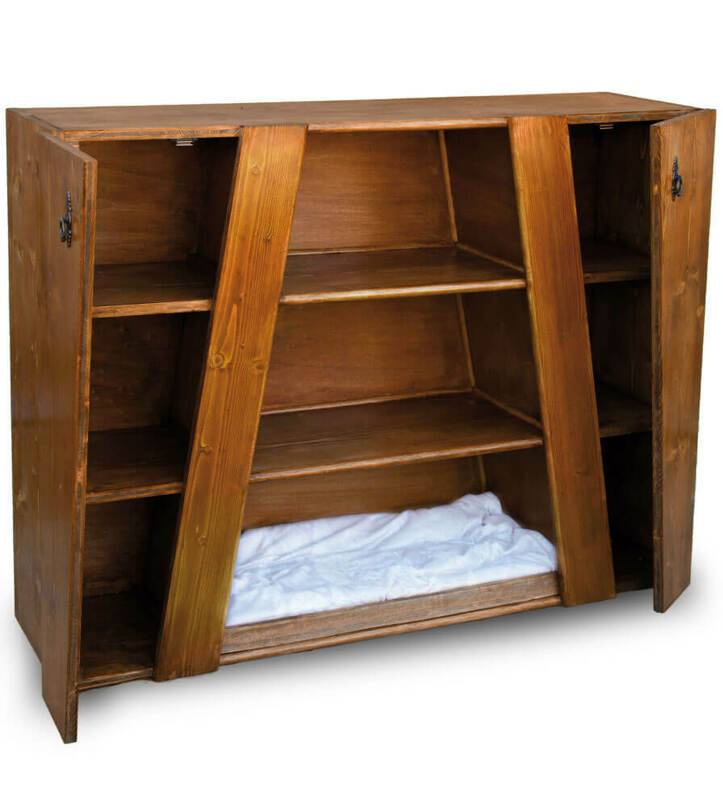 The clean and elegant line appeals to design lovers and makes it a unique peace of furniture. 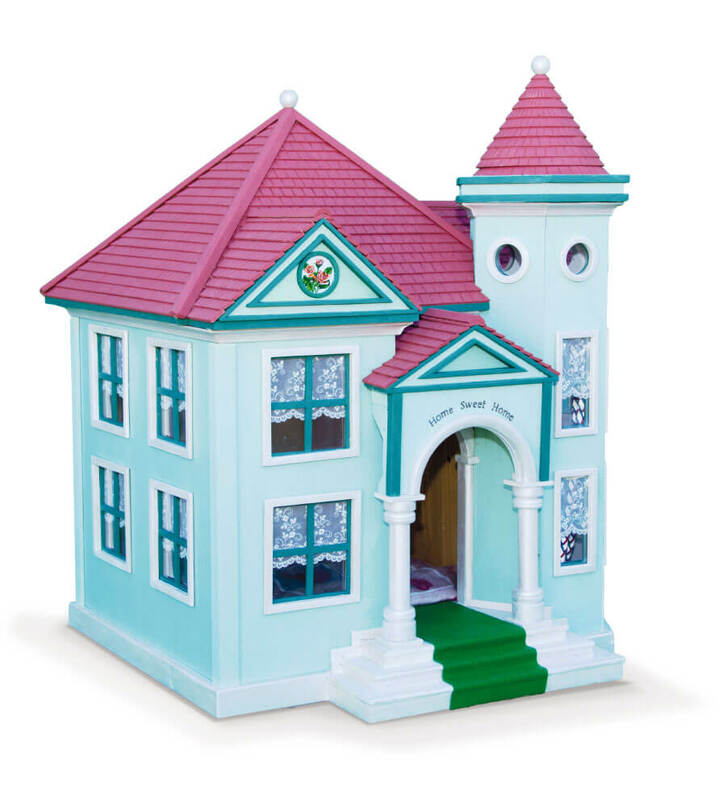 No more toys scattered around, a comfortable attic compartment gathers and keeps them safe until next playtime. The refined design is also found in bowls, than can be customized in materials and colors according to your taste. 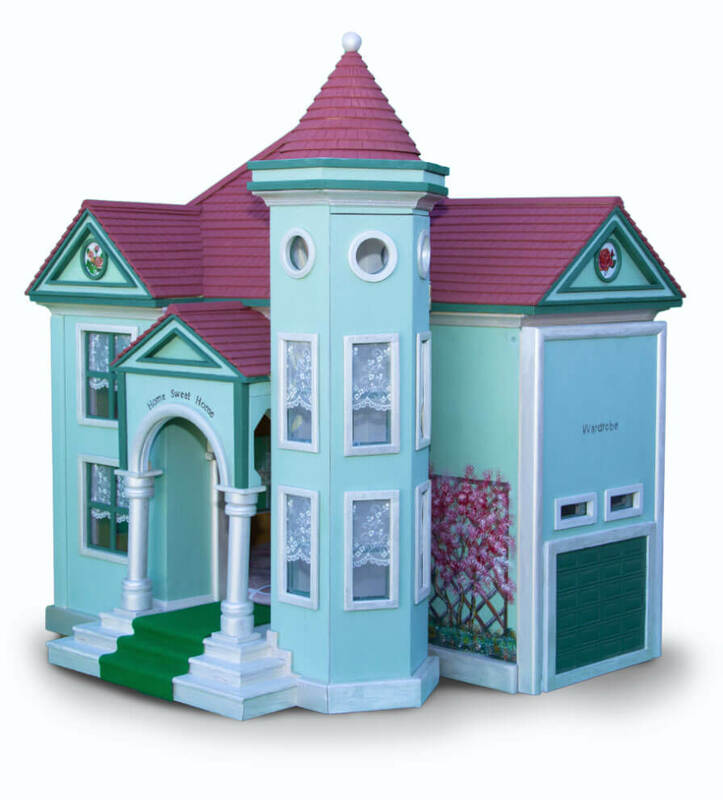 A timeless charm, an important residence, with attention to the smallest details for a class pet. 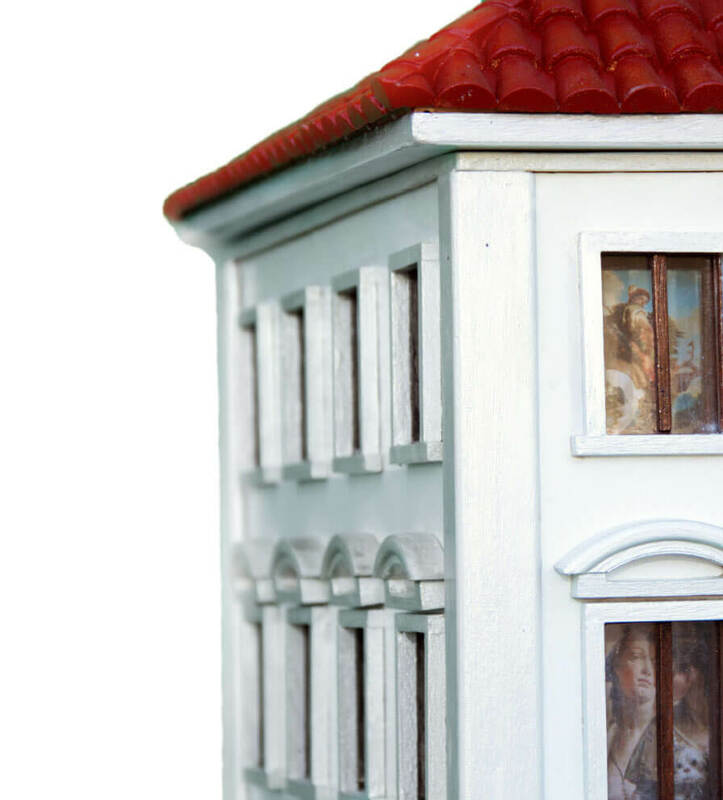 Delicate lights illuminate the paintings on the walls and enhance the line of wooden statues on the outside. A handmade runner embellishes the staircase. 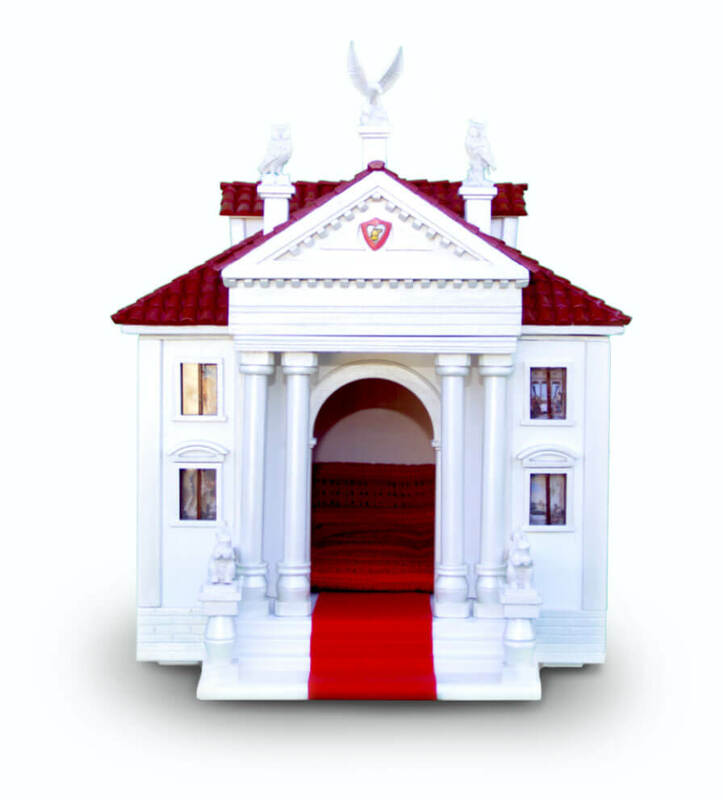 Details that make this mansion unique and majestic. 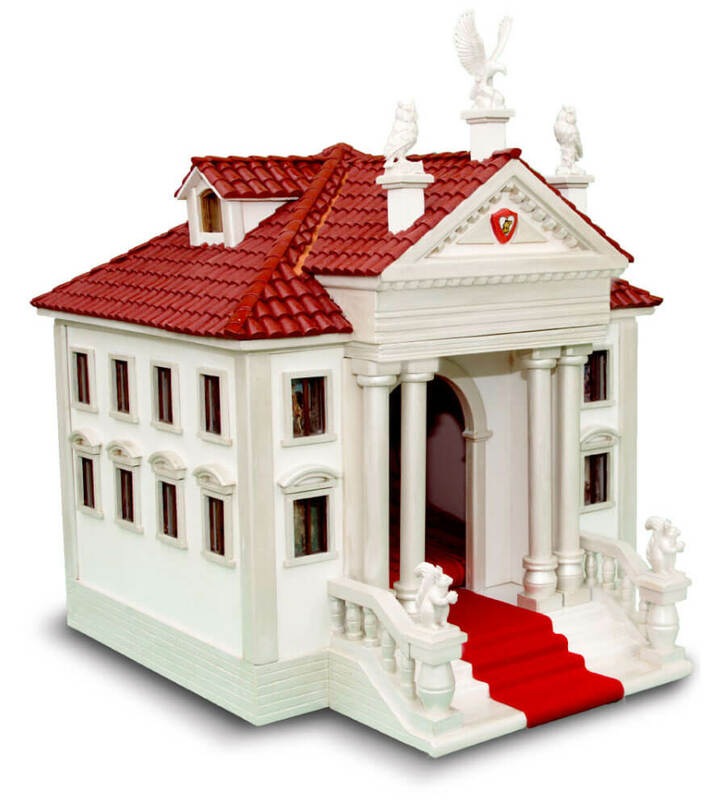 Refined style, harmonious proportions, soft colors make this a special mansion. 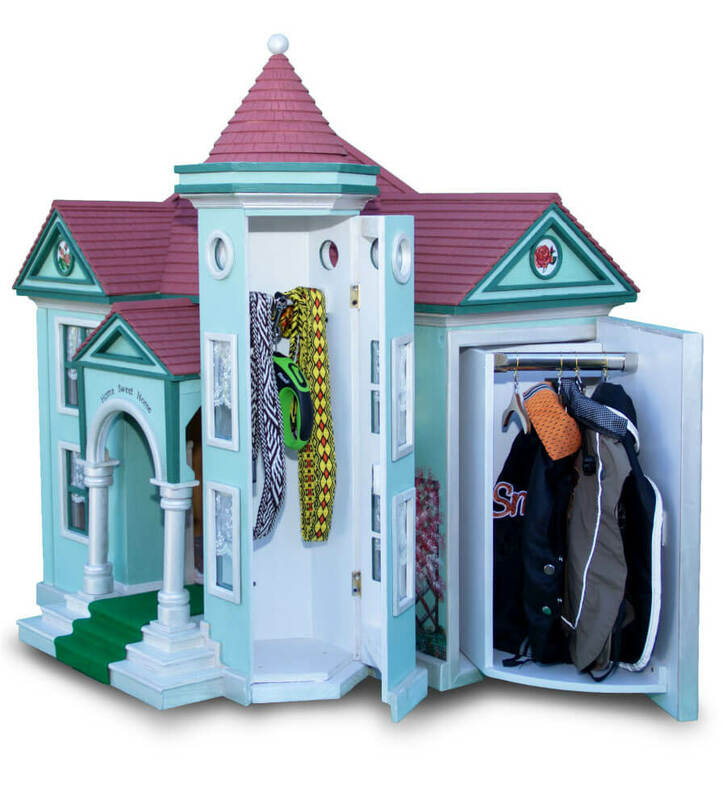 Lots of space for leashes inside the tower and much more for coats which can be easily stored in the wardrobe. 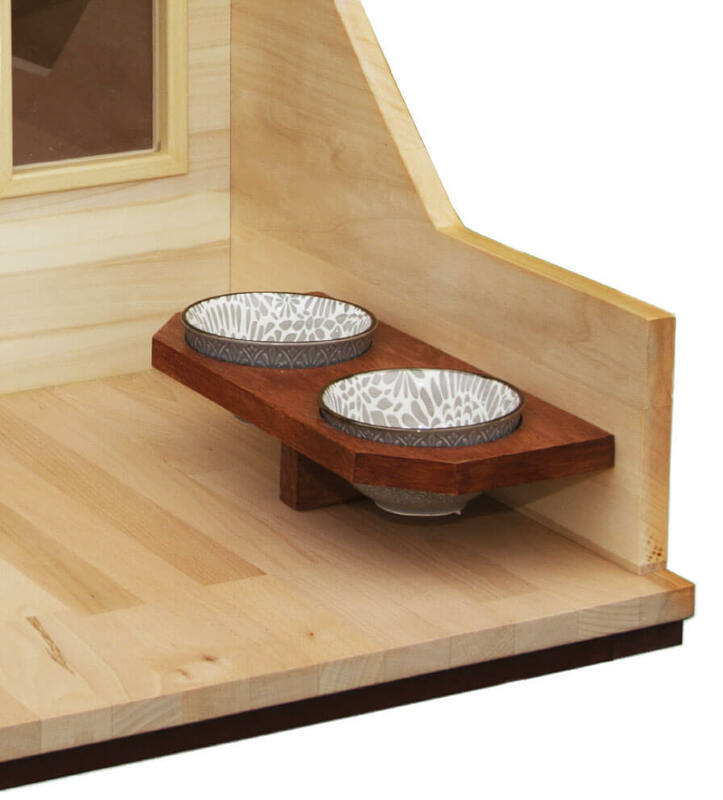 Simple and geometric lines for your pet’s comfort. The puppy has his peculiar space to rest and observe his family at the same time. 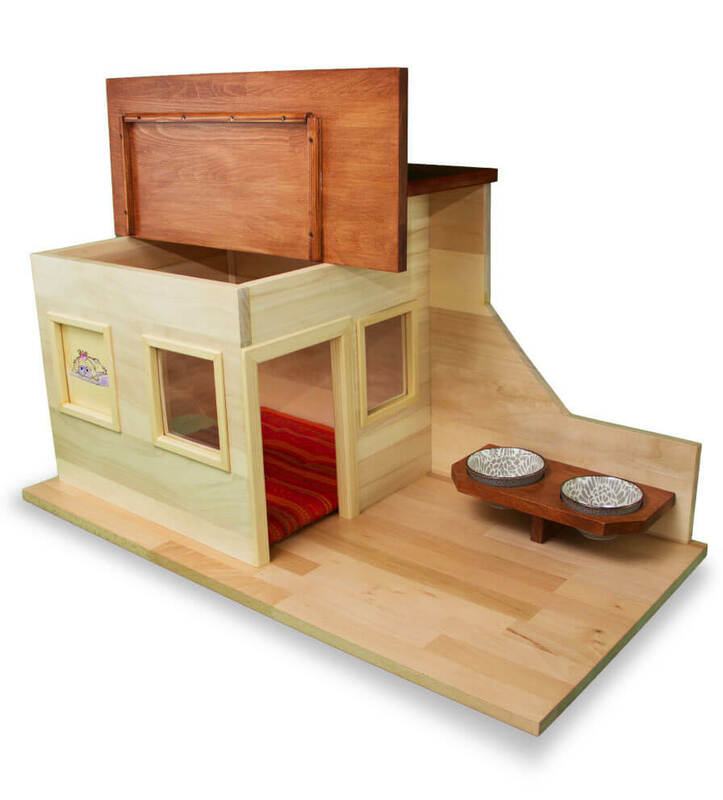 Oblique lines hide doors which reveal plenty of space for toys, coats, leashes and snacks. 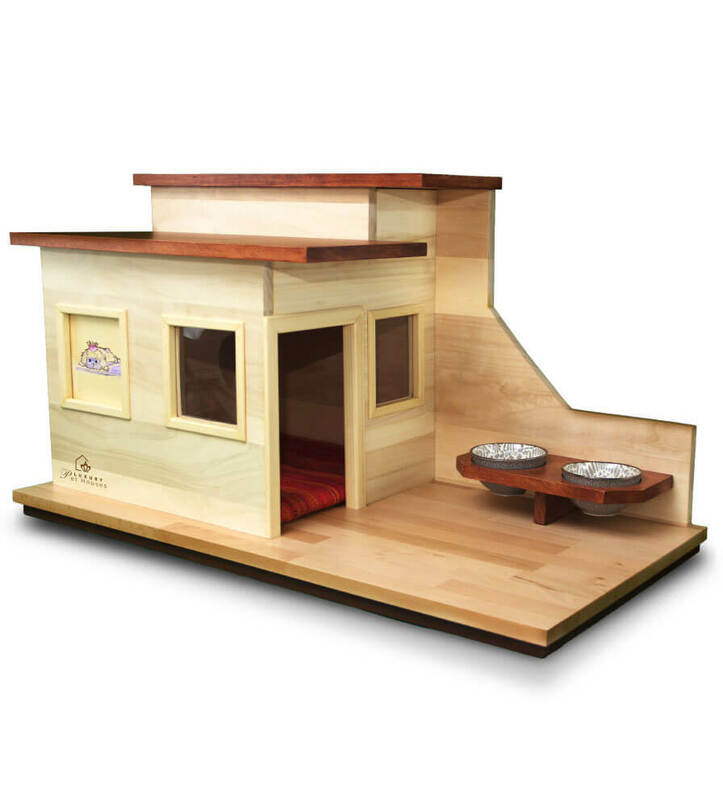 A perfect place for your pet to crunch his favorites on his own.